We understand that as a parent, sending your child away for an extended period of time can be nerve-wracking or just downright frightening. This informational page is to answer some commonly asked questions we get from parents. If you still have questions after you read this, please contact us. All students will be staying in the hotel, typically with four students to a room. Rooming requests are taken, but all room assignments are the decision of the staff. Students of opposite genders are not permitted to visit each other’s rooms. Counselors conduct room checks each night. The All-State Band travels with a nurse at all times. Additionally, your child is required to fill out the medical form so that in the event of illness we can ensure they receive the proper care. Who will be responsible for my child during the trip? The All-State Band has many adults and counselors that are there to make sure all students are having a positive experience. In addition to the staff, there are counselors who will have a group of students to which they are assigned. The counselor will conduct room checks, wake up calls, answer questions, make sure the students are where they should be, etc. Adults on the trip are music educators and band directors, and have a great deal of experience with leading student travel. How will the students be transported? 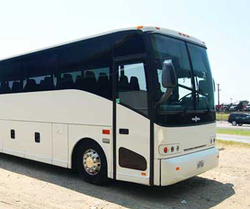 Once the students arrive to begin their time with All-State band, buses will be provided to transport the students to the locations. Travel to the meeting site is the responsibility of each student. Buses are being arranged from several locations throughout the state. Students are expected to bring their own instruments (concert and marching) with the exception of the following- Percussion, marching percussion and sousaphones (please bring your own concert tuba). If your child needs an instrument, please contact the staff so we can make arrangements to get the needed instrument. Additionally, please make sure all the necessary materials are with the instrument. Examples of this are lyres, reeds, valve oil, cork grease and mutes. The only money your child will need for the trip is spending money for souvenirs or snacks. The band provides the uniform shirt. If your child plans on wearing a shirt underneath the uniform shirt, please make sure it is plain white. Students are required to bring plain white pants, white socks and plain white sneakers or marching shoes. Bibber-style uniform pants will not work with the Lions Band uniform. If you have additional questions that were not answered, please contact us and we will be happy to answer your questions. 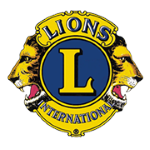 Thank you for your interest in the Pennsylvania All-State Lions Band. Participants will enjoy an experience will they will remember for a lifetime.